Flow Monitoring Crew poses at Frances Short Pond before heading out to collect data along the Rio de Flag on May 19th, 2018. Friends of the Rio has been lucky to mentor several interns and NAU student-led projects in 2018. Join us on Thursday to hear from these individuals. John Leary, NAU Masters in Environmental Sciences & Policy student, will share his work on wet/dry mapping of the Rio de Flag. 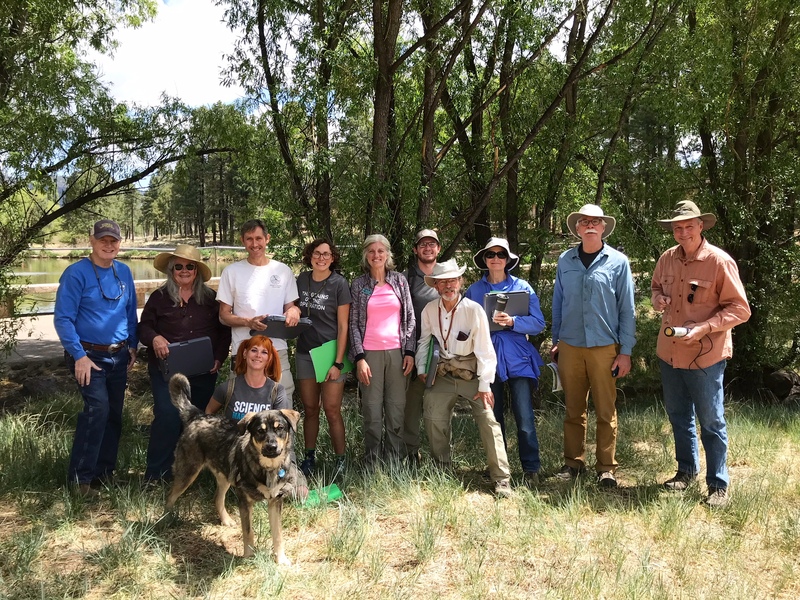 John helped developed protocol for wet/dry mapping in Flagstaff and worked closely with the Arizona Department of Environmental Quality to organize a citizen science event that engaged volunteers in collecting data along the Rio. John will share maps and camera footage that help us better understand flow regimes of the Rio de Flag. We will also hear from Casey Langstroth, Victoria Hess, and Ryan Turley, three NAU undergraduate students who worked as a team to collect observational user data on two segments of the Rio de Flag. The intent of their project was to document how many users use the FUTS trails during sample periods. Please join us this week to hear about the great work being done by these NAU students.